Imagine That: First completed piece for 2010! Yay for me! After what truly seems like an eternity, I have completed my first piece for 2010. 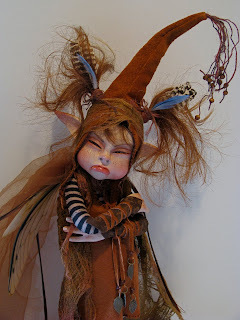 This is 'Sienna' and she is a very sulky faerie girl. Having three daughters (delightful though they are) I had much to draw on for this piece. 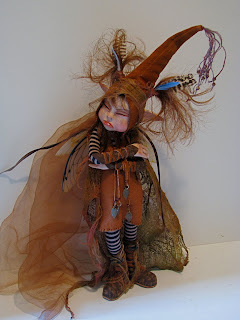 I love the idea of faeries in moods other than the commonly depicted cheerfulness....and let's face it, anyone who knows anything at all about faeries knows that they are unpredictable, vengeful and contrary little blighters! I really tried to get not only the facial expression to convey Siennas mood, but also her body language.....she is definitely not in the mood to compromise! I had lots of fun constructing Siennas costume, most of it being comprised of leather and felt - two of my favorite materials to work with. She stands 40cms tall to the tip of her pig-skin cap. Even though I have my life-size goblin built, I have started sculpting another piece.....suffice to say that it involves a snail.....truly I have the attention span of a flea! ps. 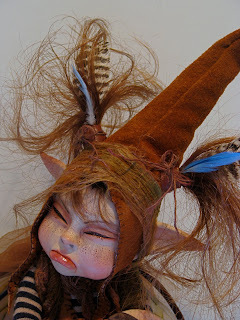 Sienna is for sale on my website. 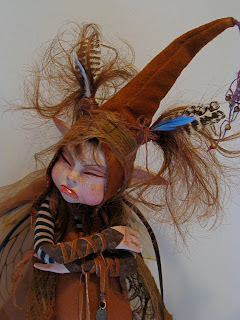 Not all Faeries are Beautiful. She is lovely Lorell. I love the way you have put her together. Yes, I agree you did capture the mood. I was even thinking that as I looked at the pics and read your Kudos.description. I love leather and felt too. I am hoping to incorporate some of these materials in my work soon. Oh' I have seen this look many time on my kids and now on my grandkids. You have captured it to a "T". She is wonderful as is her costume. Thanks so much for sharing her and your inspiration. Wow your attention to detail never ceases to amaze me Lorell!!! She does exude attitude that's for sure! Just love that pouty, disgrunted look!! !Looks like you had much fun with this one!! hahaha the auntentication code for this post was stroppyr!! how appropriate! 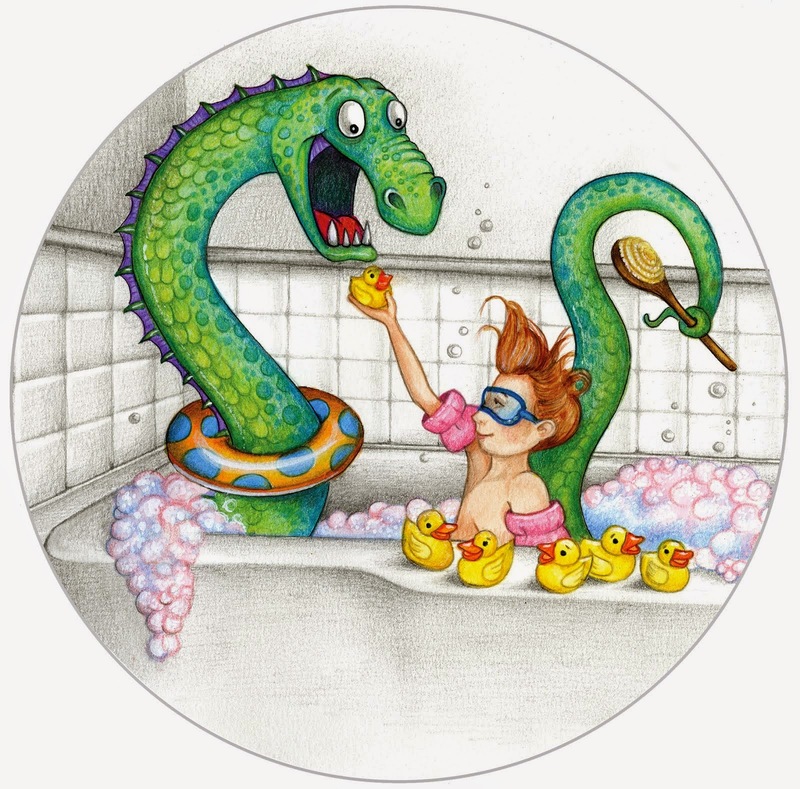 What a wonderful piece to start the year, Lorell! It looks like a Fall creature to me, it reminds me of the woods where I live and the bluejay birds. And I love the closed eyes, quite a personality!